But, when I actually became a parent, I realized that looks aren't what is always important when it comes to the shoes my first walker and toddler will wear. I must really pick a shoe that will let my child walk naturally and comfortably...and be easy to put on a squirmy toddler! Well, I am now onto my third child and my third first walker and a good pair of shoes for my developing walker is just as important to me. Which is why my son has been wearing his new pair of Beko Baby shoes as the weather turns colder and he starts to walk more and more! Beko Baby merges a timeless shoe style with a clever and easy-to-use zipper closure system. 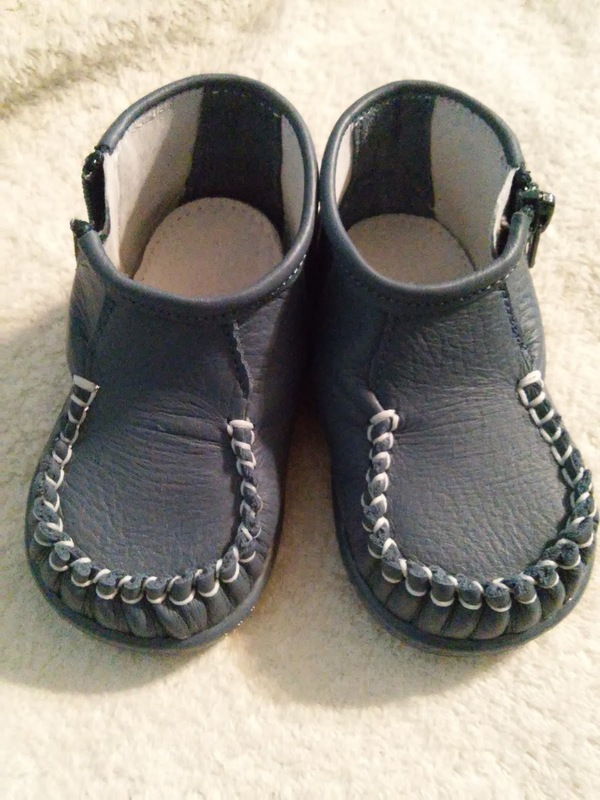 Beko Baby is a brand that is made in Europe, all leather, very classic, but also uniquely innovative-- the shoes feature a zipper closure that runs under the shoe from one side to the other, making the shoe easy to put on and take off. 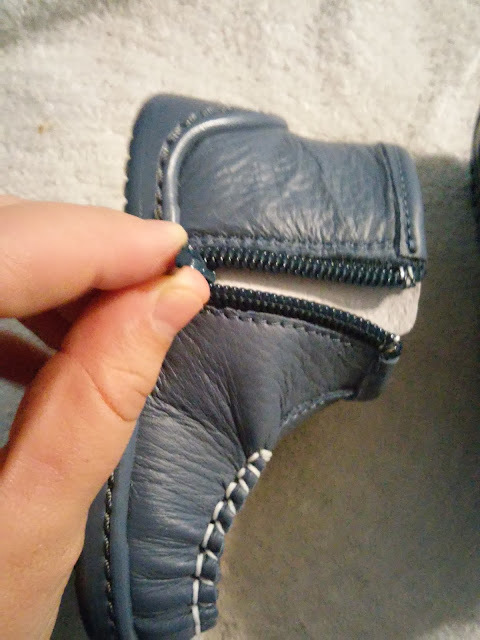 The under-arch zipper runs 180 degrees from one side, under the shoe to the other side. 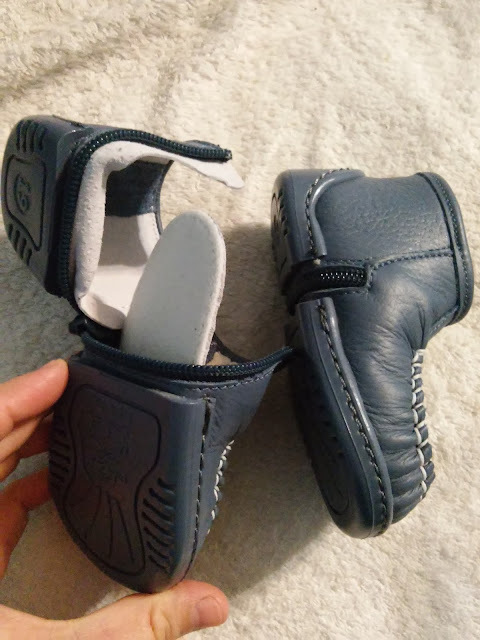 This unique access thereby allows a parent to quickly and easily slide their child's foot in. These zippers are of the highest quality, and don't get stuck with dirt or sand. 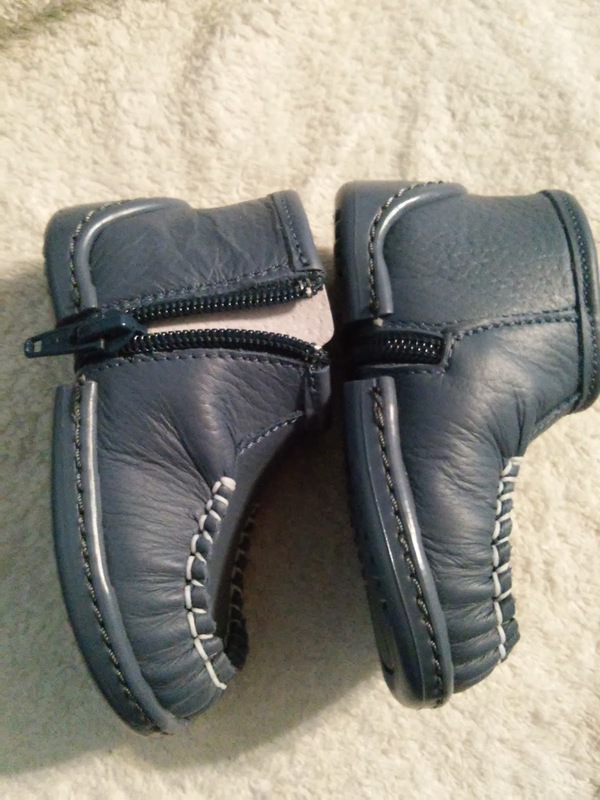 Additionally, there is a leather lining that runs beneath the zipper, on the inside of the shoe, to protect small feet from irritation and discomfort. These shoes are made of the softest and most durable premium Italian leather, which permits proper contouring to the foot and also allows the foot to breathe.The outer sole is molded from a flexible, high-traction, proprietary material, and the inner sole features an orthopedic cushion which helps to support proper bone development. The bootie style covers the base of the ankle, increasing support and providing protection. 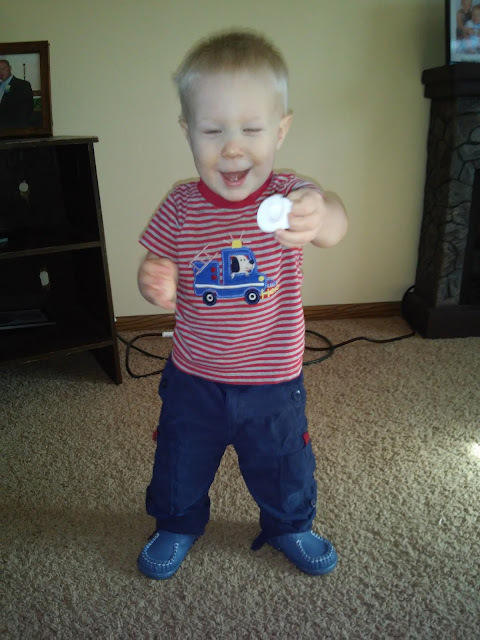 My son got the pleasure of receiving the Solid Blue design of the Beko Baby shoes. They are so classic and comfortable and I LOVE PUTTING THEM ON!!!! They are so fun and easy to do. 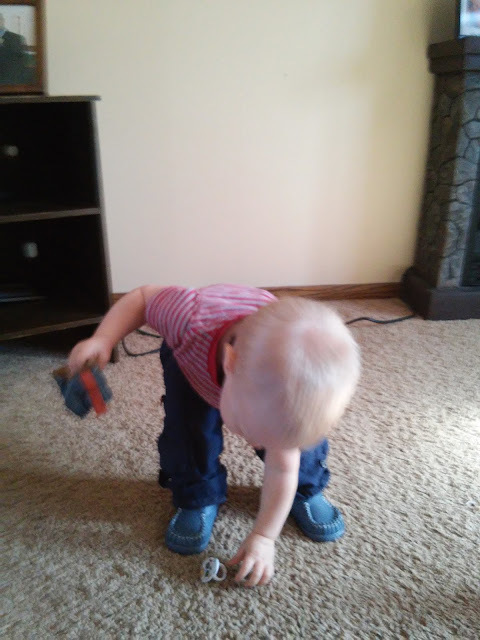 I love that I never have to struggle with his shoes again or waste our precious time together putting on his shoes! These shoes seem really durable and well made and the design is phenomenal and genius! My son loves to walk (or try to walk!) around in these shoes and I love how the classic look allows them to be play shoes or dressy shoes and can be paired with so many different outfits! You can purchase Beko Baby shoes in three colors (white, pink, and blue) and in two different designs (solid and perforated) from select retailers. Beko Baby is generously offering (1) pair of Beko Baby shoes to a lucky winner!